After a relatively disappointing UFC 230, UFC 231 gives us two exciting title fights. Max Holloway looks to defend his Featherweight title against Brian Ortega, whilst Joanna Jedrzejyck attempts to redeem herself in the new Women’s Flyweight division. The Palmerbet Sports Team give their UFC 231 tips & analysis for the top main card fights! Holloway enters this title fight as the defending UFC Featherweight Champion, defeating Brazilian legend Jose Aldo in consecutive fights. Renowned for his excellent power, Holloway has won each of his last 3 fights by TKO in the 3rd round. 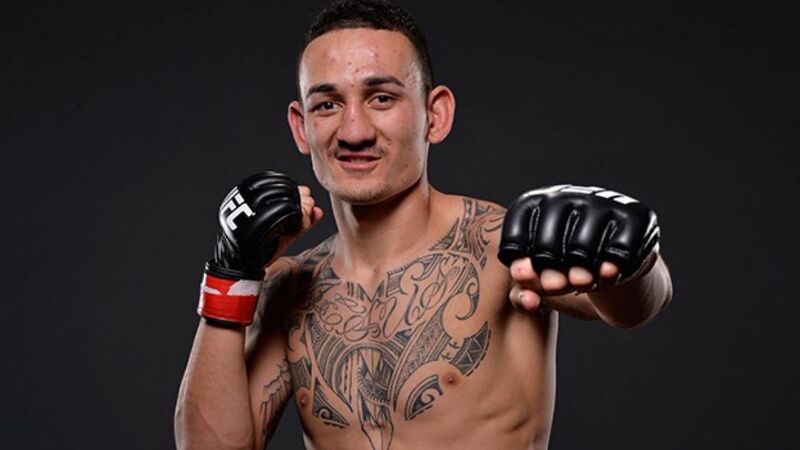 After losses in 3 of his first 10 fights, Holloway has established himself as the premier fighter at 145 pounds. He has enjoyed comfortable victories in each of his last 12 fights, only having to rely on the judge’s decision 3 times. Against the up and coming Brian Ortega, I expect the 27-year-old Hawaiian to be more than up for the challenge here. Brian “T City” Ortega enters this one with an undefeated 14-0 record as a professional mixed martial artist. Each of his last 3 fights has earned Fight of the Night honours, spectacularly finishing Renato Moicano, Cub Swanson and Frankie Edgar. Renowned for his excellent Brazilian Jiu-Jitsu ability, Ortega has registered 7 of his career wins by submission. After becoming the first man to ever finish Frankie Edgar, Ortega has more than earned his maiden UFC title shot. Brian Ortega (@BrianTcity), one of the best fighters on the planet, is still sleeping on the floor. At $1.80, I think Max Holloway is excellent value in this main event. Not only does he match up extremely well with Ortega, he also has the experience edge in these marquee fights. With his fantastic finishing ability, I also see the value in Holloway by KO/TKO at $4.33. Having failed to claim the Bantamweight Women’s Championship, Shevchenko has moved to a Flyweight division that should better suit her style. She won her debut as a Flyweight in February, defeating Priscila Cachoeira by submission in the second round. Known for her excellent power, Shevchenko managed impressive wins over both Holly Holm and Julianna Pena within a 6-month period. The one fighter she couldn’t see to overcome was Brazilian Amanda “The Lioness” Nunes. After losing twice to Nunes by decision, her hopes of a Bantamweight title were all but dashed. She enters this one as the overwhelming $1.29 favourite, which is somewhat surprising given Joanna’s Strawweight pedigree. Joanna Jedrzejyck had widely established herself as the best Strawweight fighter in the world, winning each of her first 14 fights. After running the division for nearly 3 years, she lost her first fight to Rose Namajunas in November 2017. A rematch in April this year provided the same result, limiting Joanna’s options going forward. After one last fight at Strawweight against Tecia Torres, Joanna rightly decided that moving to Flyweight would be the best move. She enters this crucial matchup as a huge underdog, all the way out at $3.64 to win. Valentina is understandably the favourite in this one due to her size and power advantage. That said, I think Joanna has the speed, stamina and tactical advantage in this one. Her skill and patience will prove crucial in negating Shevchenko’s counter-punching gameplan. Joanna is way over the odds here. Alex “Cowboy” Oliveira enters this one at 19-5-1, having won 6 of his last 8 contests. Renowned for his exciting style of fighting, only one of Cowboy’s last 10 fights have gone to decision. Iceland’s premier mixed martial artist, Gunnar Nelson enters this Welterweight bout off 3 losses in his past 6 fights. Never one to hold back, the outspoken Welterweight has all but guaranteed a finish in the media this week. Ultimately, I think Nelson has a huge advantage on the ground in this one. If he can get this fight to the ground early, he looks terrific value at the current quote. Hakeem Dawodu is a Canadian featherweight who is rapidly climbing the ranks. He enters this one with an 8-1-1 record after an impressive July victory over Austin Arnett. Dawodu comes up against American Kyle Bochniak in this one, who has lost 3 of his 5 UFC fights. Bochniak appears to lack a killer instinct in his fights, with each of those 5 going to decision. Very confident backing Hakeem Dawodu here. Buoyed by an excellent home crowd advantage, I expect his speed and power to prove too much for Bochniak. Veteran Light Heavyweight Jimi Manuwa enters this contest at 17-4, having lost each of his last 2 fights. Renowned for his excellent power, 16 of the Londoner’s 17 career wins have been by the finish. He comes up against the impressive Brazilian Thiago Santos here, who’s won 6 of his last 7 fights. Santos had an impressive stoppage against Filipino Eryk Anders in his Light Heavyweight debut last time out. Jimi Manuwa looks very strong value in this one. He has the power and veteran savvy to defeat Santos here and I expect him to pull off the upset here.